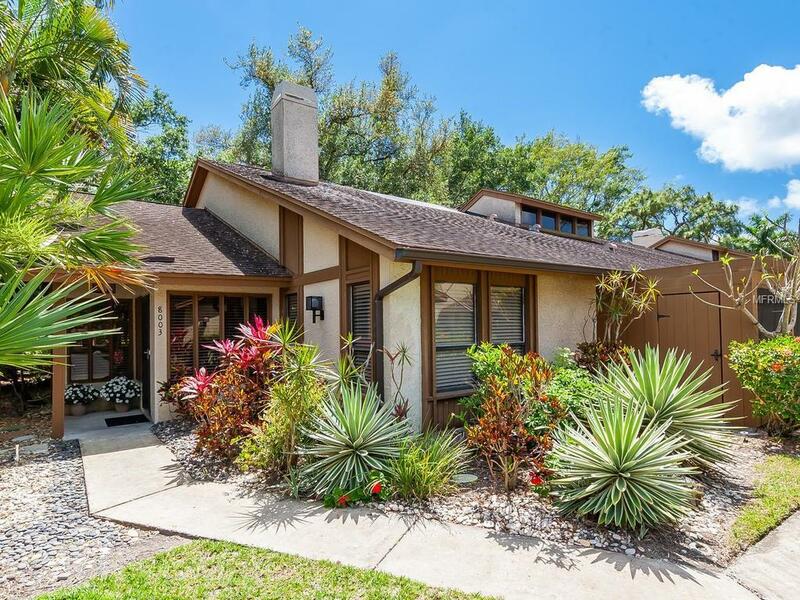 Close to everything yet tucked away among the tropical trees, this 3 bedroom 2 bath split plan will amaze you. 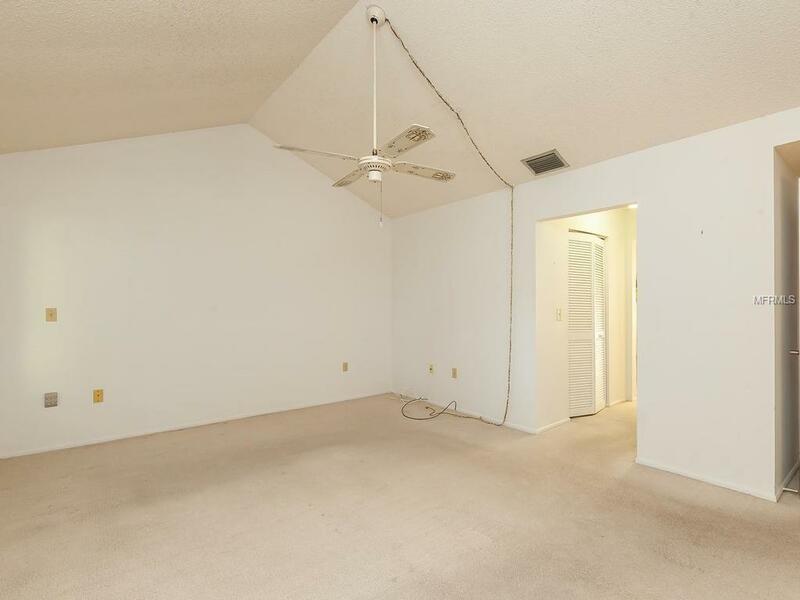 Nice tiled entry foyer with gleaming real wood floors throughout dining/living room and kitchen. Vaulted cedar ceilings with wood burning fireplace and built in shelves.Kitchen has been refreshed with a cabinet refacing and granite look formica, some stainless appliances and up lighting. There is a greenhouse window for your herbs and decorations.A large Master suite with a walk in and other closet leading into the bathroom with a separate tiled shower and toilet. Walls of glass look out into the atrium that is a design masterpiece. The other side of this villa has 2 good sized bedrooms, one with a private screened lanai. 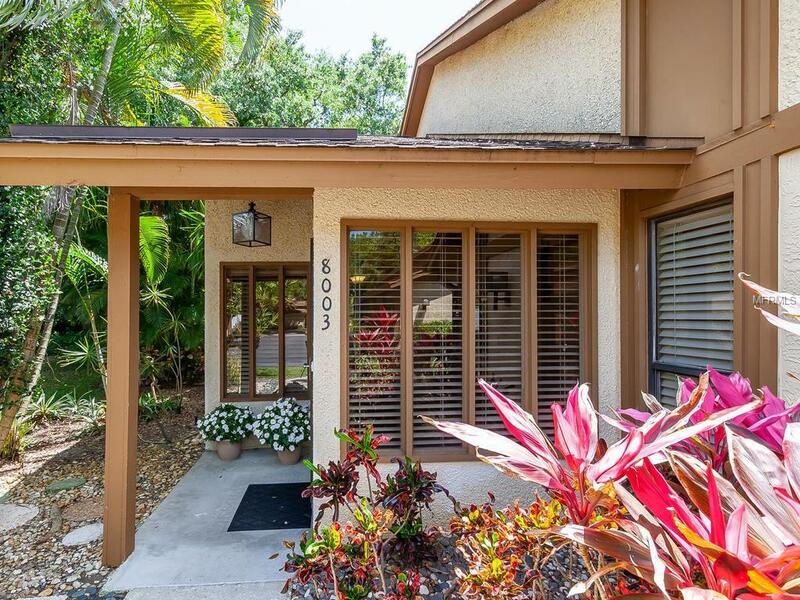 A tiled tub/shower and a laundry, utility room with storage make clean up a breeze.Sliders from Great room and Master lead to screened but covered lanai looking out to a nicely landscaped private yard.Walk to the Overlook, enjoy the beautiful heated pool, spa or sauna. If that's not enough play a set of tennis or shuffleboard.Close to shopping, hospitals and the wonderful beaches of Anna Maria Island are less than 5 miles straight down. Walk or bike to Robinson Preserve and DeSoto Park. 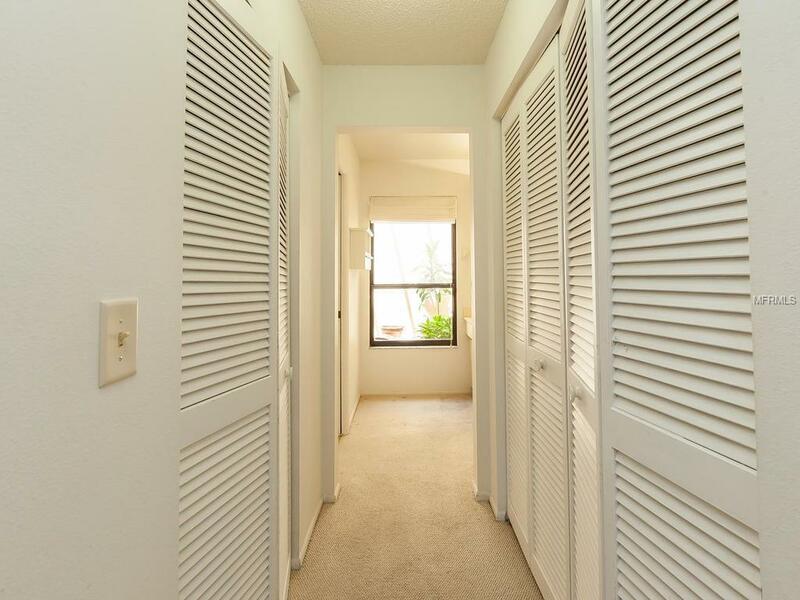 Condo fees even include a big discount on internet due to new negotiating.If you don't want the basic 4 room condo with little to no character then you MUST see this unit. Carport close to front door! Additional Water Information At The End Of 4th Ave is The Pine Bay Forest Access To Large Deck With Seating To Enjoy The Sunsets. Listing provided courtesy of Duncan Real Estate, Inc..